Summer is here in force in Northeast Florida and the surrounding area. A complaint we occasionally here from a new homeowner or Home Builder is “the system is too small – it can’t keep up”. While the automatic reaction is to demand a bigger hvac system, this is a costly and sometimes detrimental solution. In hot humid climates like Florida’s, there is a relatively narrow range between an hvac system that is too small and one that is too big. More is not necessarily better. When a system is too large for the load, the larger system dumps more cold air into the living space which quickly cools the ambient temperature to the thermostat set point. 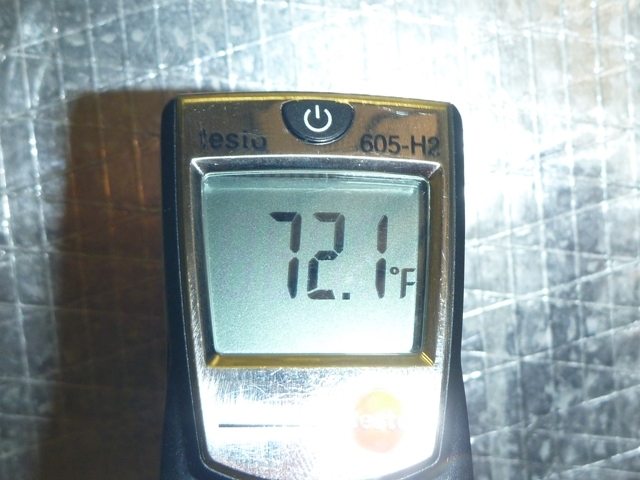 Because this happens quickly dehumidification is cut short and the humidity level steadily rises. The air will begin to feel clammy and uncomfortable and over time odors and staining from microbial growth may develop as well. Properly sized hvac equipment is thus essential. Gone are the days of estimating the size of equipment by the size of the house. In fact Florida Building Code requires a properly calculated load be used to size equipment for every house, which also specifies room airflows. This is known as a site specific room by room load calc. When we are asked to determine if equipment size is correct in a home there are several things that we investigate before going through the exercise of performing our own load calc to verify the load. The obvious first question is, “Is the equipment performing as it is designed to perform”. Often times we find that hvac contractor is puzzled by the problem and in the absence of testing, “Everything is working great ” or “you need a bigger system” is the stock response. A simple test which we perform measures the temperature of the air in the return just before it enters the air handler, and in the supply duct just after it leaves the air handler. Typically the temperature differential between the supply plenum and the return plenum is in the range of 16.5 to 21 degrees. This temperature differential is commonly known as the “Delta T”. 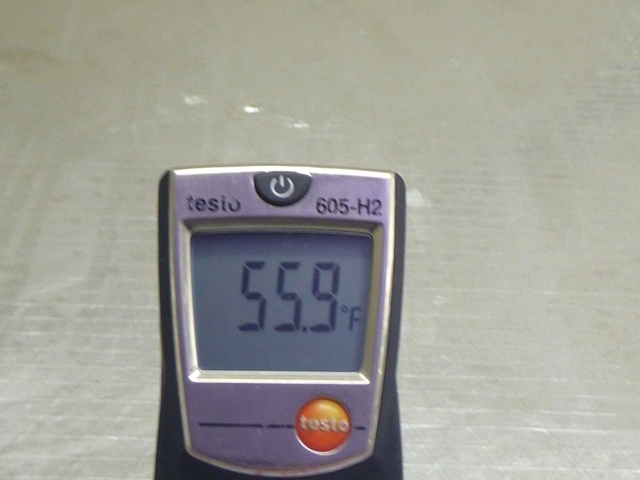 If the Delta T is too low, clearly there is a problem with the refrigerant charge. Instructing the hvac contractor to recharge the system AND to check for leaks is a very good first step to take before going to the extreme of replacing it. In new construction the refrigerant line can easily be punctured by a nail which would cause a slow leak. Once repaired, further testing can be performed to determine other possible problem areas. This is a small essential part of the Warranty Inspection which we offer to area homeowners and Home Builders. We will discuss the rest of the testing which is part of this Inspection in future posts. Jacksonville Building Science also offers new homeowners and Home Builders a Guaranteed Load Calculation which takes all factors into consideration. 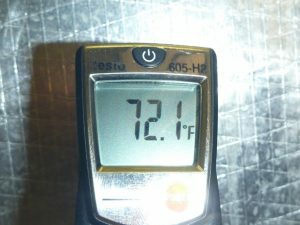 Our load calculation includes an inspection of the insulation to ensure that our assumptions about insulation are valid. If there are problems with insulation levels and installation these will need to be rectified. We would be glad to send an information worksheet to anyone who would like us to perform a load calculation for them.